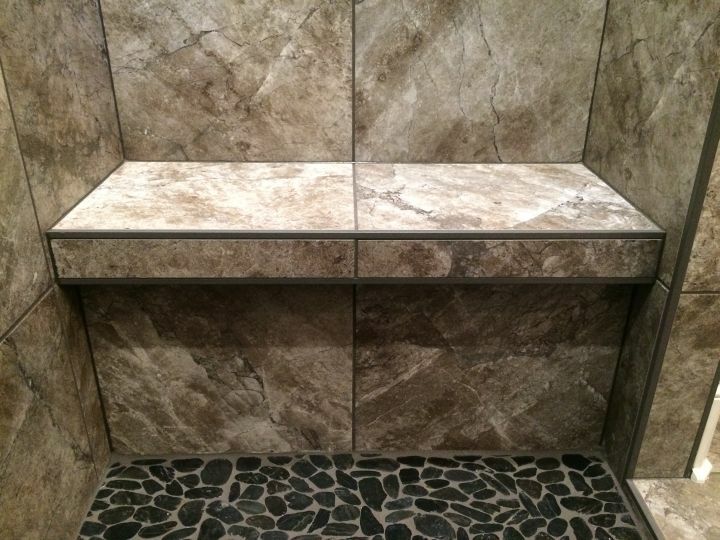 This seat sets against one wall and is the boundary on the other. 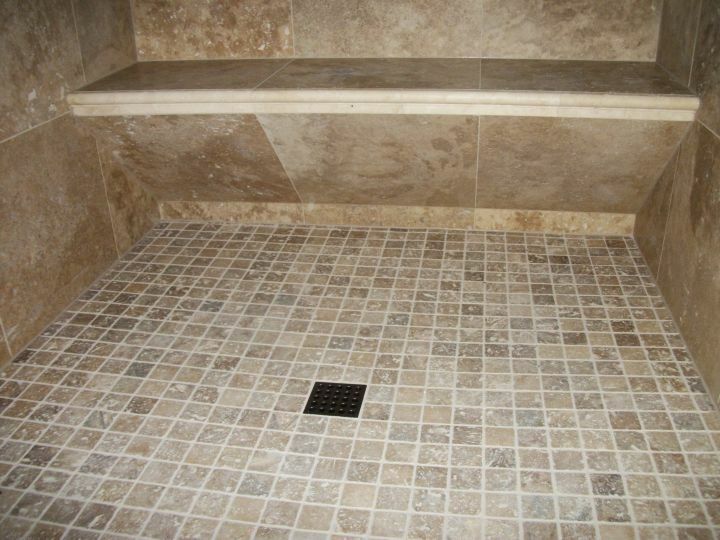 Glass panel will wrap around the front ledge. 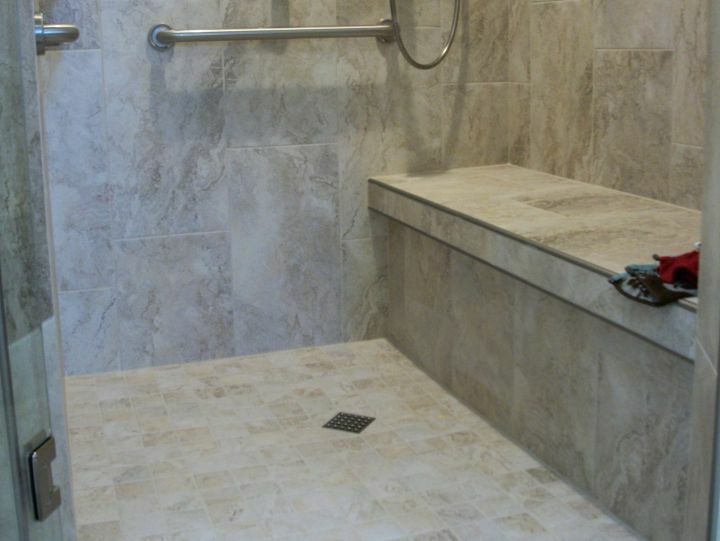 Grey tile and textured metal edge profile used on tiled shower seat. 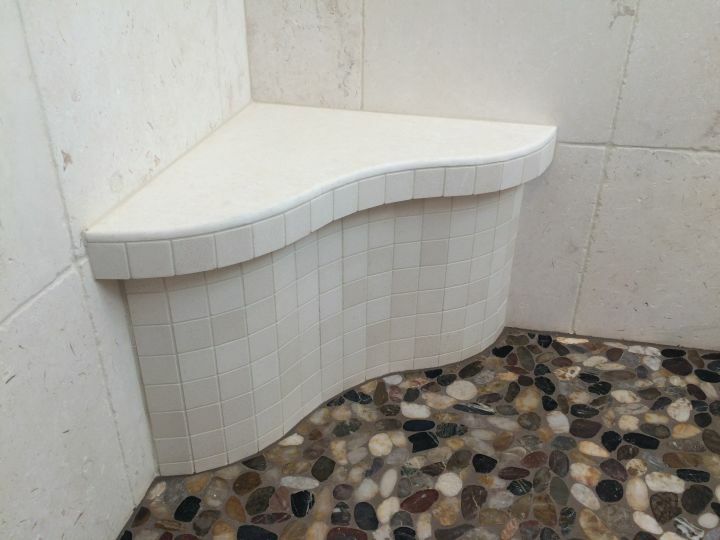 This curved tile seat has a offset ledge and a mosiac front tile skirt. 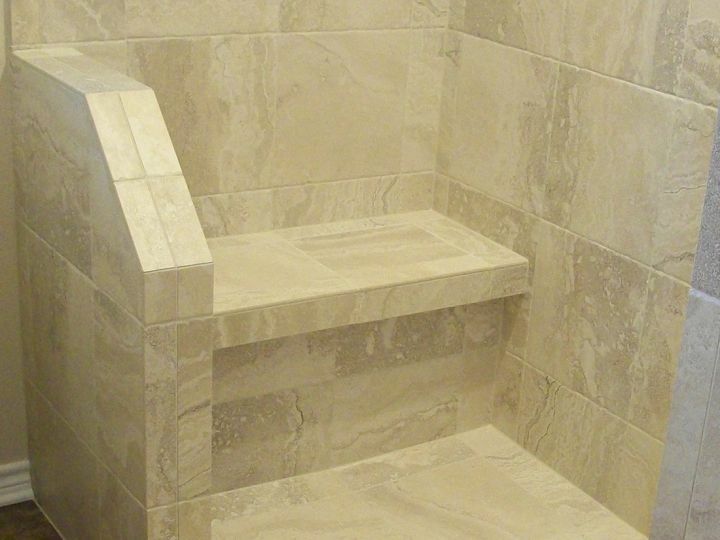 This tile shower bench has a sloping base so your bare heels do not bang the tile. 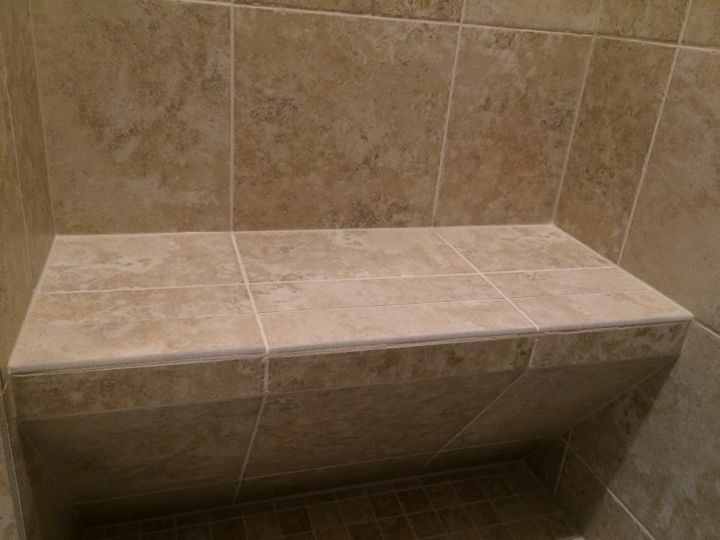 This tiled bench does not extend all the way to curb to allow for a shower curtain to pull against the back wall. 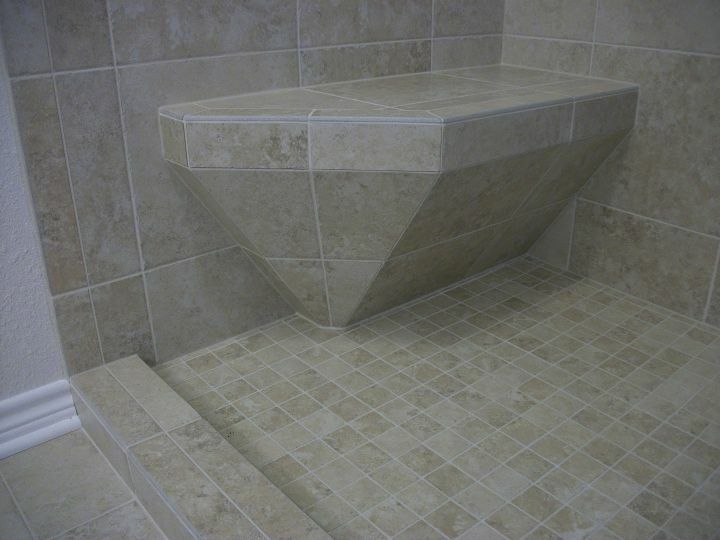 The corner of the seat is clipped to eliminate sharp edges. 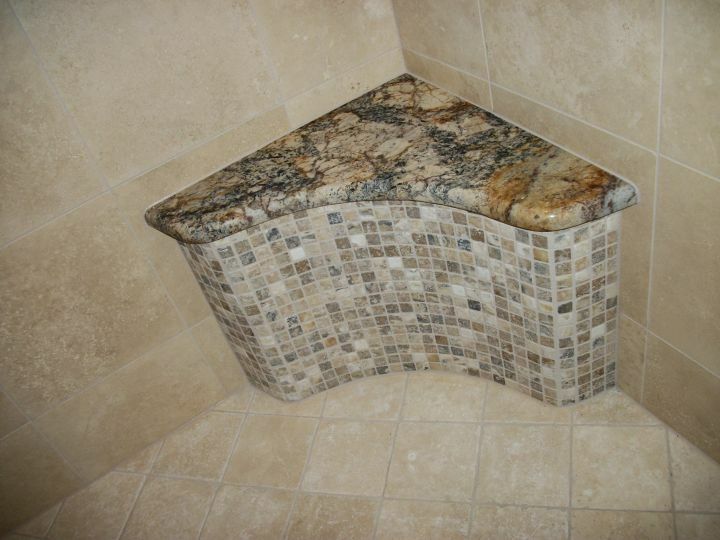 This curved tile corner seat in shower has a mosaic tile front face and granite top. 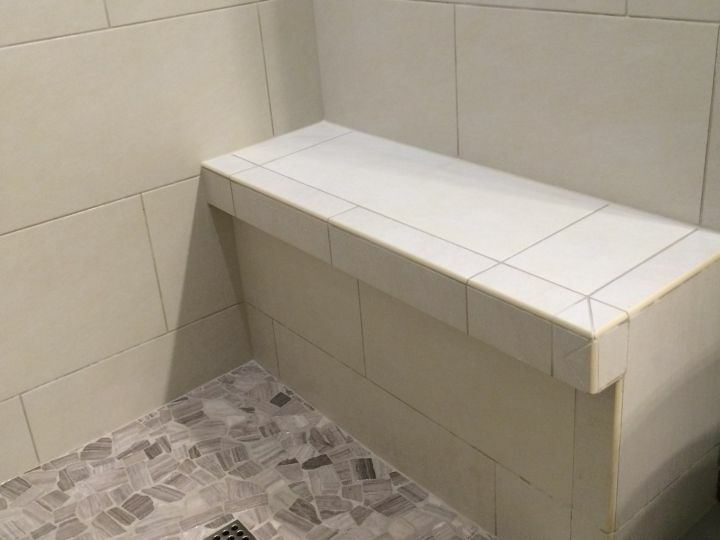 This tile bench has a front ledge and metal edging profile. 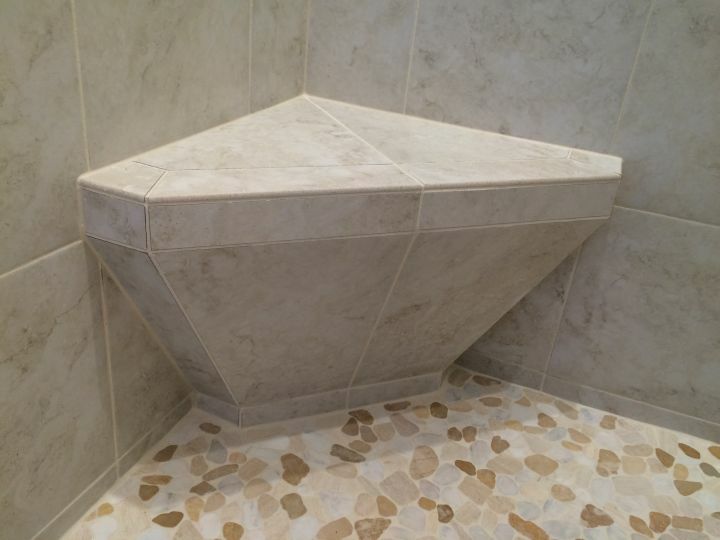 This tile shower seat has a sloping base underneath and ogee trim for a front edge.